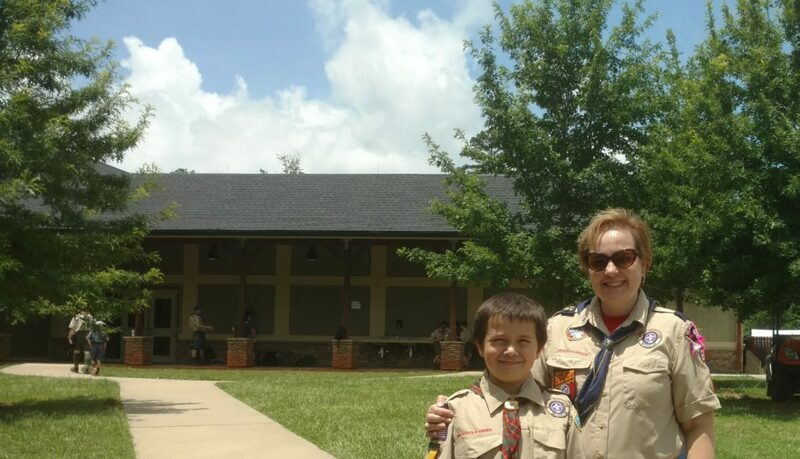 This story was submitted by Dawn Cain, a WEBELOS Den Leader and Scout Parent from Pack 650 in Norcross. I am a WEBELOS Den Leader, which means that my co-leaders and I are responsible for fourteen 4th Grade Scouts. We often talk to our Scouts about first aid and personal safety, and we ask that families plan and rehearse at home. Several weeks ago, after a penny-swallowing incident, we talked seriously about the sign for choking (hands at your neck), so our Den could clearly identify a person in need of help. 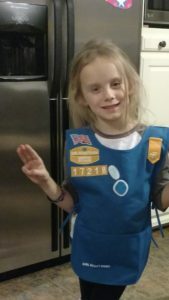 Later that month, my children, WEBELOS Jim and his Daisy Scout sister Maddie, were quietly playing in the den when Maddie began choking on candy. I was not in the room, and I did not hear any kind of unusual noises so I did not know what was going on until after the issue was solved. My blood cooled…I jumped out of my seat. Just then Maddie rounded the corner with super-big eyes and said, “That was VERY SCARY!!”. “What happened?” I asked, “How did you get it out?” I was terrified with visions of Jim whacking her on the back, and the chance of making it worse. Jim continued, “Maddie started making strange noises, and made the choking sign (he mimicked grabbing his neck).” His confidence growing, “I had her get up…”, and then he got behind his sister, wrapped his hands around her, and acted out the Heimlich maneuver. “The candy came out and she could breathe!”, he exclaimed. Maddie hugged her big brother, repeating how scared she was, and her pride that she had remembered the sign for choking. I sat there, stunned. They’d done it right!! I asked in disbelief, “Jim, where did you learn that?”. So many emotions flooded through me – relief, shock, pride in my boy, pride in my girl, thankfulness for the life of my daughter. Who knows how it would have turned out otherwise, but full credit is due to Jim, to Bert Adams Summer Camp, and to Scouting for helping them ‘Be Prepared’. Tagged Cub Scouts, First Aid. Bookmark the permalink.